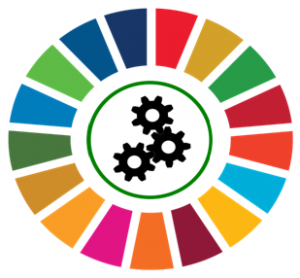 ISO 14001 & the SDGs … Can your EMS save the world? I was pleased to recently deliver a webinar for BSI & IEMA on Using ISO 14001 to support delivery of the UN Sustainable Development Goals. A Trucost report showed SDG alignment generated $233bn in revenue for 13 of the world’s largest companies last year. But wider research by KPMG showed companies are struggling to get boardroom buy-in and PwC found 40% are still not meaningfully engaging with SDGs. There are clearly business opportunities, but do they know how to deliver the Global Goals within the organisation? My webinar examined how using a structured system like ISO 14001, this could be achieved. 6.3 – Improve water quality by reducing pollution, eliminating dumping and minimizing release of hazardous chemicals and materials. 8.4 – Improve global resource efficiency in consumption and production, and endeavour to decouple economic growth from environmental degradation. 12.2 – Achieve sustainable management and efficient use of natural resources. 13.1 – Strengthen resilience and adaptive capacity to climate-related hazards and natural disasters. 14.1 – Prevent and significantly reduce marine pollution of all kinds, in particular from land-based activities, including marine debris and nutrient pollution. 15.2 – Promote the implementation of sustainable management of all types of forests, halt deforestation & restore degraded forests. My point was that it’s not just the standard environmental Goals that can be delivered via the EMS, or that Goals have to relate to your direct operational activities – you can think bigger or wider to cover more of the SDGs. Decide whether to extend the scope beyond environment – consider which goals you want to deliver on; which are important & relevant to your business? In developing the EMS, you need to consider the context of the organisation – internal & external issues to identify risks and opportunities. Then consider the needs and expectations of interested parties. I showed how I often work with clients to conduct a PESTLE Analysis to help look at these issues. ISO 14001 requires you to consider lifecycle & put in controls to manage each stage, as appropriate. Lastly it’s important to think about internal & external communications: what to communicate, when, with whom and how. What’s important to your Interested Parties and make it easy to communicate. I touched upon the Good Life Goals, which are supposed to make the SDGs fun & accessible. I ran some polls for the webinar attendees. Given the caveat that these were IEMA members & therefore probably more advanced than other businesses, the answers were interesting. Q1 – Have you started to incorporate the SDGs into your organisation? 47% were in early stages, 28% not yet started & 7% had fully integrated the goals.  Q2 – Does your organisation have an ISO 14001 Environmental Management System? 65% had a certified ISO 14001 EMS, 6% not certified EMS & 10% had no system. Q3 – Have you incorporated SDGs into operational activities or widened the scope? 33% were just addressing current operational activities, e.g. energy, water, waste; 32% were looking wider at lifecycle, e.g. design decisions or engaging suppliers; 2% had made radical change to their business. Conclusion – how can ISO 14001 support the SDGs? The SDGs are relevant & important in the UK. There is a strong business opportunity, though many organisations are yet to start. ISO 14001 provides a structured approach to managing environmental aspects, costs & compliance obligations. The SDGs fit in well to this. How to start – know your objectives. Review & amend your EMS: Consider scope, context, risks & opportunities, interested parties, lifecycle, communication. Ambition is good, but perfection is the enemy of completion – you can start small, after all ISO 14001 requires continual improvement. I think that a straight forward approach, using a formalised system such as 14001, makes it more likely that you will be successful in embedding the SDGs & seeing the business benefits. IEMA members can review my slides & even watch the webinar here. If you are thinking about the SDGs and your business, give me a call. The best place to start will be ISO 14001.